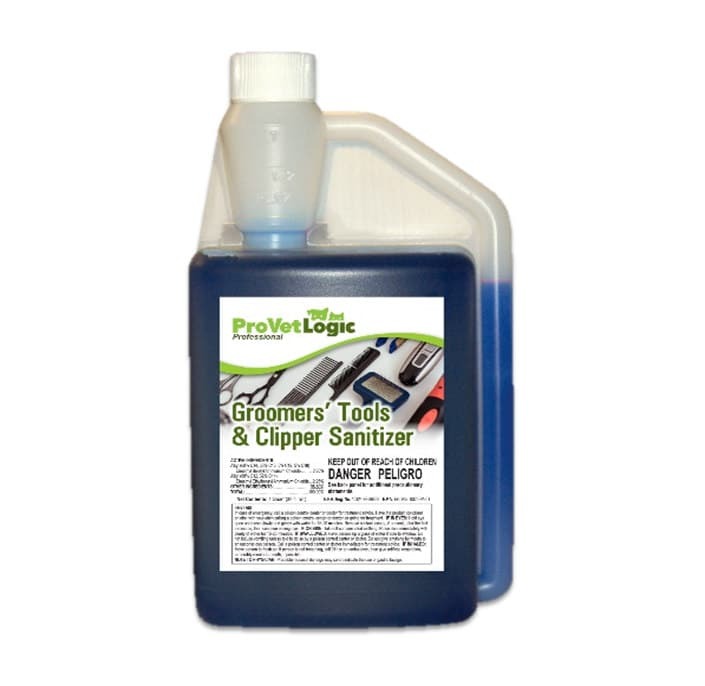 Developed specifically for the Pet Grooming Industry, Groomers’ Tool & Clipper Sanitizer is the perfect solution for hard nonporous surfaces in the grooming environment. This multi-task formula can be used as a surface spray or as a tool soaking solution. 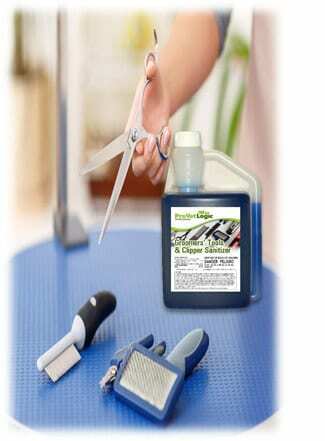 This new innovation in grooming tools and clipper sanitizer is the perfect solution for any size grooming establishment. This multi-task formula can be used as a surface spray or as a tool soaking solution. 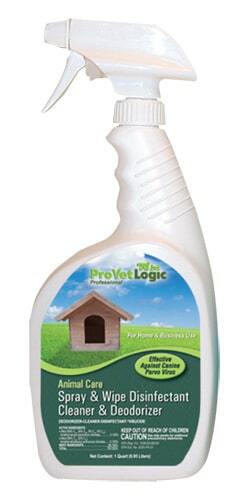 See also ProVetLogic Animal Facility AcuPro Animal Disinfectant cleaner provides over 50 infectious agent kill claims including Canine Parvovirus, Kennel Cough, Canine Influenza, Canine Distemper, Feline Calicivirus, Feline Panleukopenia, MRSA, Ringworm, Salmonella, E-Coli, Avian Influenza, and more. 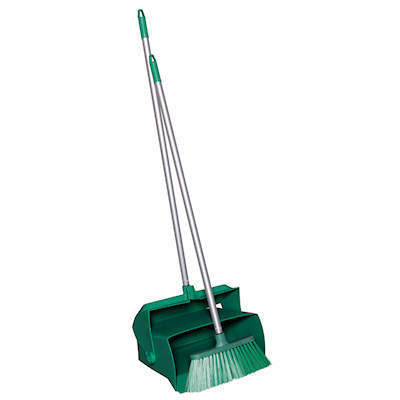 For Use details visit the Groomers Tool Page. 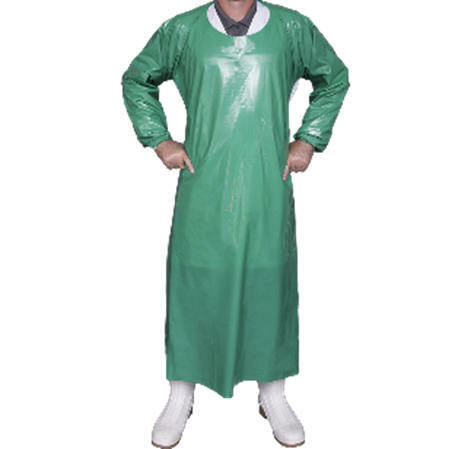 We were pleased to find a product that helps maintain a clean work environment without putting our pets in jeopardy.